AET Flexible Space has just released the latest version of their recessed fan air terminal, or fantile. 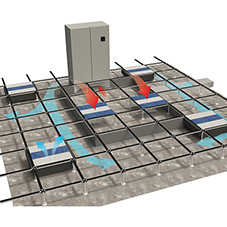 Underfloor air conditioning is commonly used in office environments, utilising the plenum beneath a raised floor as the ventilation zone. Fully conditioned air is supplied into the floor plenum by zonal downflow units (CAMs), and then supplied into the workspace via the recessed fan terminal units or fantile. The slim-line fantile was specially designed for developers seeking to maximise revenue. 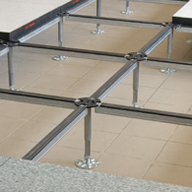 By removing services from the ceiling void and utilising the space beneath the raised floor, height savings of around 450-600 mm can be achieved. This space saving across an entire development can potentially allow additional floors, increasing net lettable space and therefore increased revenue. Alternatively, height restricted developments can increase floor to ceiling heights to BCO recommended standards by reclaiming this wasted space in the ceiling zone, thereby increasing rentable value considerably when compared with ceiling based systems. Based on standard design criteria of an underfloor pressure of 15-20 Pa and 50% fan speed, the TU350 super slim-line fantile can achieve airflow performance of 300m3/h at NR 37, below the BCO recommendation of NR 38. 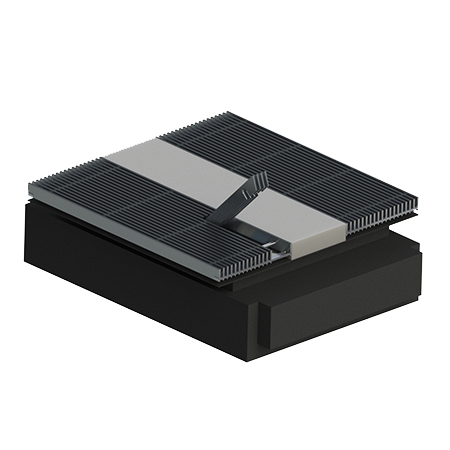 The unit is designed to fit into a conventional lay in grid floor and will also fit into a screw down steel floor with a new specially developed adapter kit.